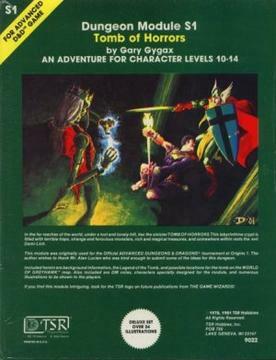 Like nearly every gamer of my generation, my first exposure to the hobby came from Dungeons and Dragons. While most of the early modules were little more than a series of vaguely linked monsters and/or traps (Hello Against the Giants and your 10×10 room with six trolls) there were a few modules that influenced my perspective on what gaming- including ‘Call of Cthulhu’ -can be. 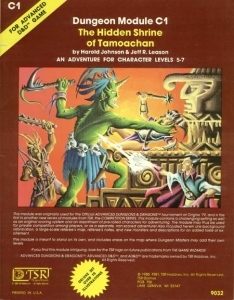 scenario, which while little more than the aforementioned monsters and traps, made use of its unique setting and gave its pre-generated characters personality. Using mid-level characters it allowed interesting albeit mundane threats to take center stage (poison gas, relatively weak monsters used in clever ways, encounters where fighting wasn’t always the solution) showing me the possibility of dungeons as real(ish) places rather than simply monster holding pens. Additional points for encouraging me to read up on the Maya and Aztecs. Finally, that cursed axe that cast a shadow of a human arm really creeped me out. Is that the false lich encounter? Contrast this to the inexplicably popular Tomb of Horrors. Here is a dungeon without rhyme or reason, a tedious slog of arbitrary trap to the next arbitrary trap. I can recall at least three automatic death traps without even cracking my old copy open. What is the point, unless you really hate your players? “Oh, you picked the left door? You die, no save.”. Ever the final battle with Acererak is a crap-shoot of guessing which spell might hurt a Demi-lich. Are there clues on how to beat it? Nope. I’m not surprised to read that Gygax created the module to “test” powerful characters; he always seemed obsessed with proving the DM was “the boss”. At least the art booklet was nifty. Dean, one of the members of Yog-Sothoth.com, has helpfully compiled a list of all the professionally published scenarios for Call of Cthulhu in the YSDC wiki. While not every scenario has a detailed entry, I imagine this will be very hand for Keepers. Since I love all things eerie and all things candy-related, it is not a shocker that my favorite month of the year is October. You cannot beat apple cider, pumpkin pie, Halloween and an inhuman amount of tiny candies. 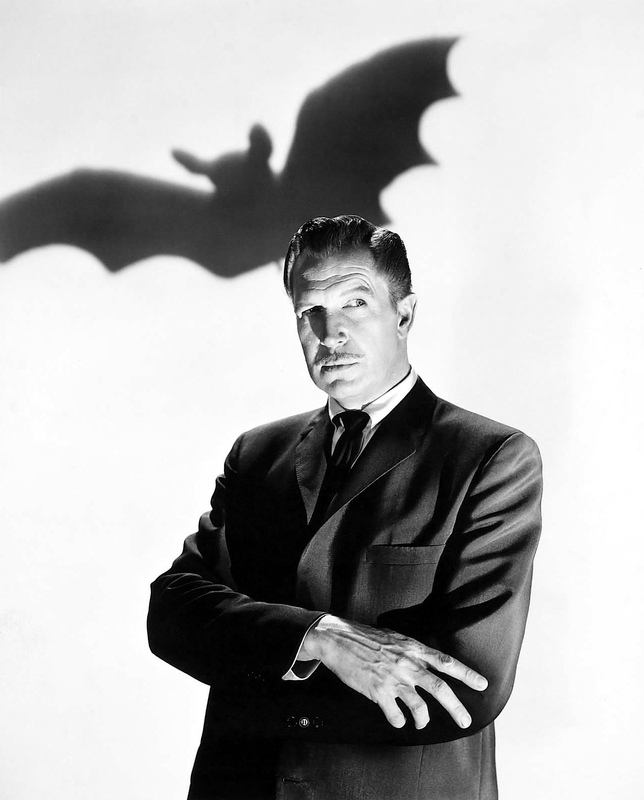 To help put us all in the mood, here is Vincent Price reading “All Saint’s Eve, as read by Vincent Price“.